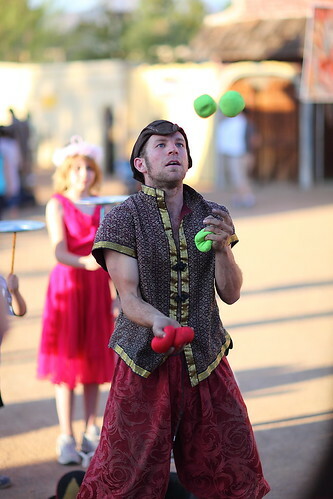 A mom’s ability to juggle does not always look like the skilled juggler at the local Renaissance Faire. But juggle, she does. She is a master of juggling, and if she refuses to be, or has many bumps in the head attempting, she will soon enough gain the skill. Why? Survival. After months and years of training, if the local doctor’s office might try to tap her knee with that thingy designed just for knee-tapping (the word flees my juggled-out-for-the-night mind), and find himself in a precarious position due to a well accentuated ability to move the leg in response to a reflex stimuli. That’s why they don’t check your reflexes as much after you have kids; they pretty much know you have them, and are practicing self-preservation. I recently found myself balancing a stack of papers, miscellaneous lego pieces, my cell phone, and a track-designed Lego car creation. Nearby were multiple families watching their children race Lego cars they had made unique to their liking. I was entrusted with one of these by my child. In a tired motion I let the car get away from me…rolling efficiently to the end of my now paper chute. UH-oh. Well, no worries, springing into motion, as it launched off my pile of trappings, I flung my first juggling arm out (left), OH, tossing it into the air off my hand, I swooped around from the right with my second juggling hand…IN comes mom two, taking a shot, she throws in a quick juggle bouncing it back my way, and as I make my last move with one last pop into the air, good as our reflexes were…hilariously impressive….the lego car came crashing to the floor and exploded into pieces. Mind you, this new found juggling partner and I were left to laughter at our attempt to “SAVE the LEEEGooooo car!”. In the old carpet commercial fashion, but a little more entertaining. All things rebuilt, I was left to giggle, and wonder at the small feat we almost randomly accomplished, musing at the SUP balance payoff, and thinking that upcoming, I should finally break out a slackline and get a little more balance/reflex training. I’m sure the kids would love to toss some water balloons at me. And doubly sure they would love to try the slackline assisted! To mom’s and their wonderful reflexes in all the things they juggle in life! Learning the balance with you!